Don't let the cat out of the bag with the Sugar Cat Stereo Bag. This creepy kitty is sure to get the last scratch. 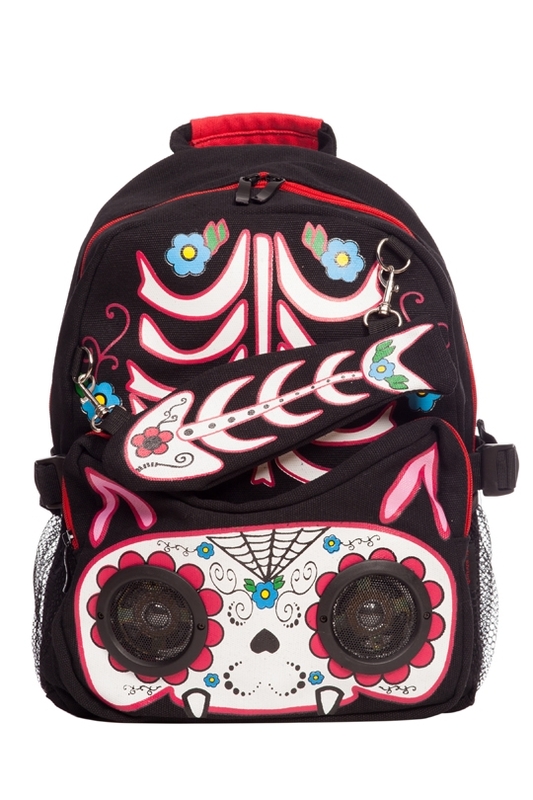 Featuring a Mexican Day of the Dead inspired cat, and a detachable skeleton fish pencil case.